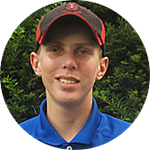 The Matthew Renk Foundation is an approved IRS Code section 501(c)(3) tax entity. Our mission is to provide much needed support to those facing the challenges associated with pediatric brain cancer. The Matthew Renk Foundation was formed by Matthew Renk's parents, Dave and Jackie Renk, to generate awareness of childhood brain cancer and to provide support for families facing this challenge.